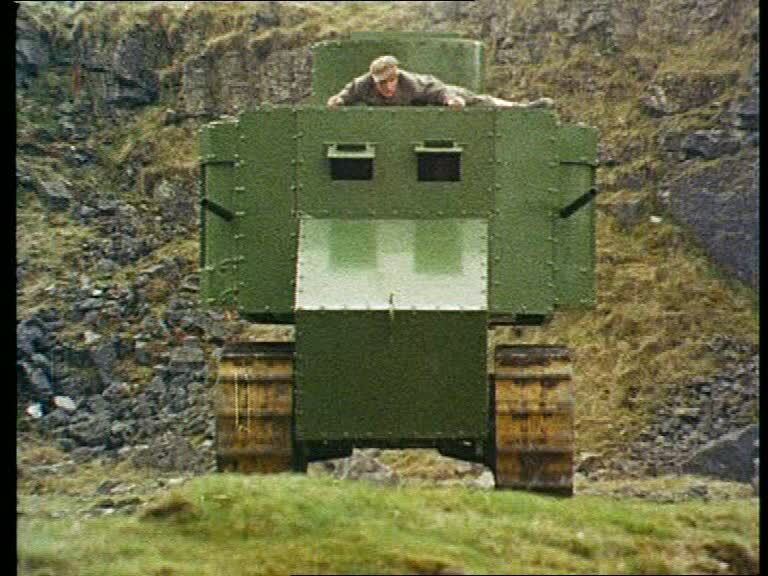 This paper looks at a British children’s television drama serial of the late 1960s, Tom Grattan’s War, and tries to establish its significance by asking a simple question: Who was this series made for? 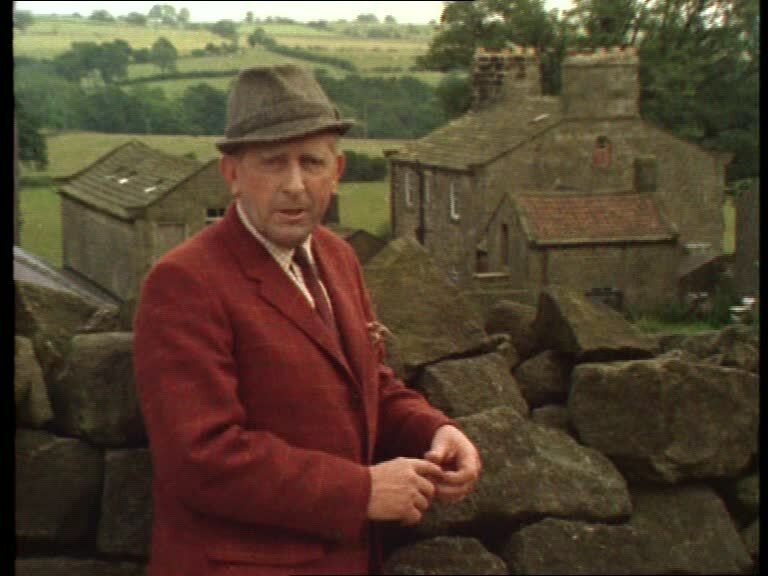 There are two factors to consider in answering this; institutional expectations of the series from the producing and broadcasting companies (Yorkshire Television and ITV), and the possible composition of the audience and what value that audience might have derived from the programme. I’ll start by showing you the credits, as they do a good job of conveying the premise and look of the series. A line of soldiers, led by two officers on horseback, march up a country road, passing a farmhouse. VOICE: August 1914. The Great War. They said it would all be over by Christmas. But a year passed, and the lanes of England still echoed to the tramp of marching feet. With each month, still more of England’s manhood was drawn to the battlefields of France. Life at home would be difficult without them, and those left behind needed strength and courage. For the young it was a time of great adventure – the adventure of filling their fathers’ place in a nation stripped of men. One such adventurer was Tom Grattan and this is his story. NARRATOR: The story I was telling you about Tom Grattan. Y’know, young London lad who came up here over fifty years ago when his father went away to th’Great War? Well, with all the local men hereabouts away fighting in trenches Tom was lending a hand on Kirby’s farm. The work itself was hard enough, heaven knows, but you can imagine how, for a young lad who’d scarcely even seen green fields and trees before he came to Yorkshire, there were some things about farm life that he found strange and demanding. Tom was doing a man’s job, and though I remember he set about it willingly enough, it was a lot to ask of a mere boy. The camera closes in on the narrator’s face. The narrator (Richard Warner) only appears at the start of each episode, but continues to provide an occasional voice-over during each installment. 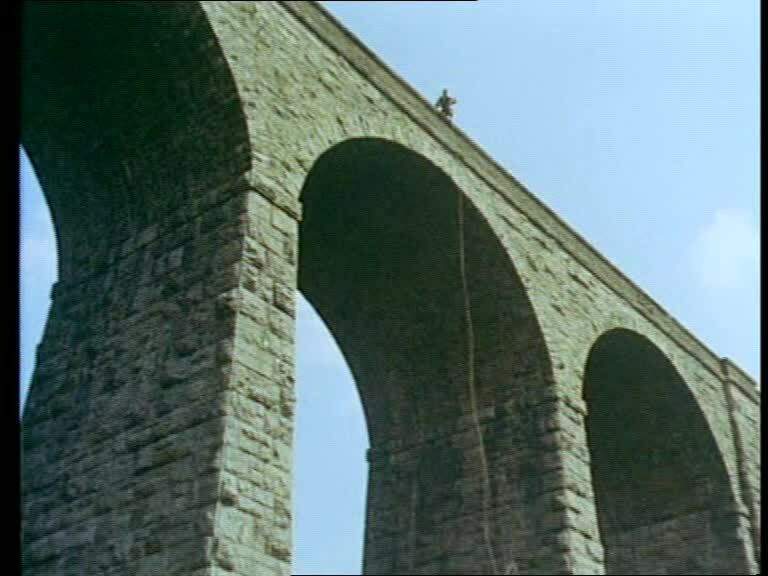 Life on the farm usually only provides a home base for Tom (Michael Howe) and Julie (Sally Adcock), who venture outwards to experience escapades in the tradition of the adventure serial. 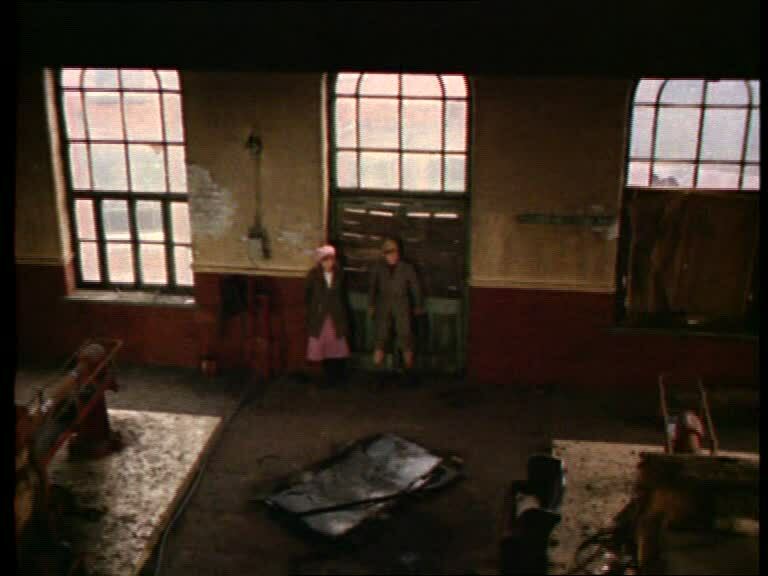 Production of the series was unusual, with writer/director/producer David C. Rea recruited from a background in BBC Documentaries, rather than children’s programmes or ITV drama, and working entirely on film and on location. 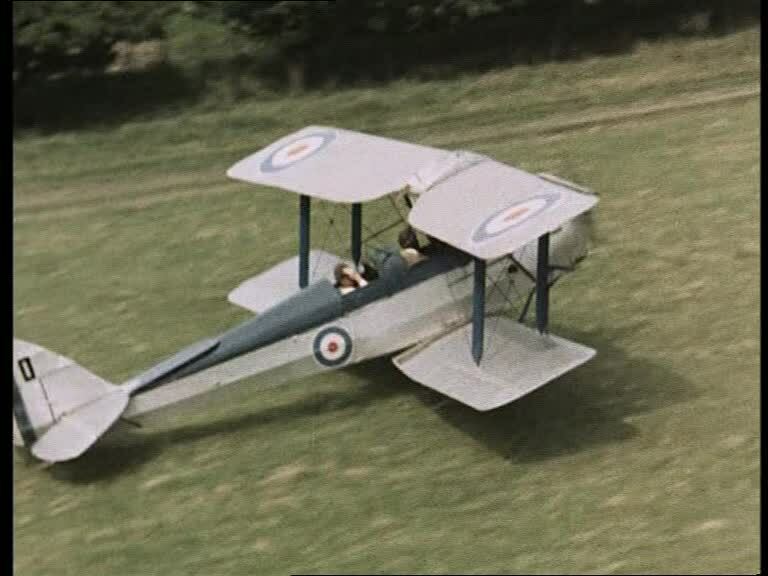 The series was shot in colour, despite being broadcast sixteen months before ITV started colour transmission, indicating expectation of potential repeats and foreign exports. – especially at the conclusion of stories, which usually climax with dramatic showdowns in outstanding locations. Another of Yorkshire’s aspirations for Tom Grattan’s War would have been the hope of creating a format that could be extended into future series. 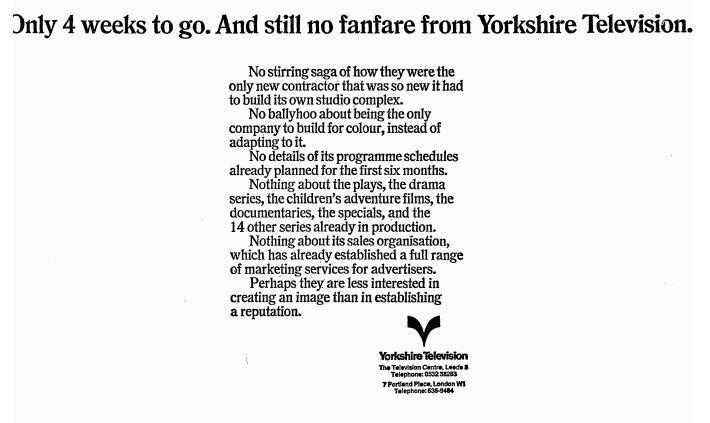 This turned out to be one of the company’s great strengths in its early years, in both children’s and adult drama, with all four of Yorkshire’s serials for children running for more than one season. 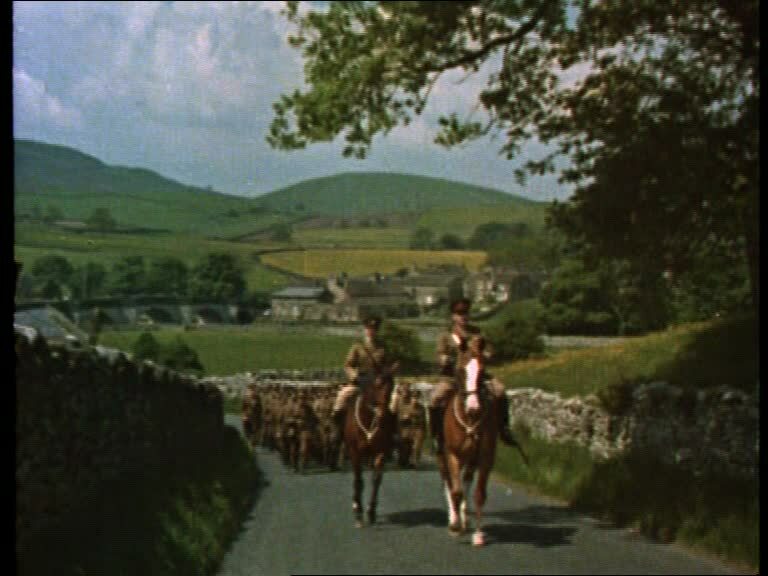 The production team of the second series of Tom Grattan’s War went on to make the horse sanctuary drama Follyfoot, which repeats much of the essential features of its predecessor; a rural setting, shot entirely on film and on location and featuring young adult, rather than child, leads. 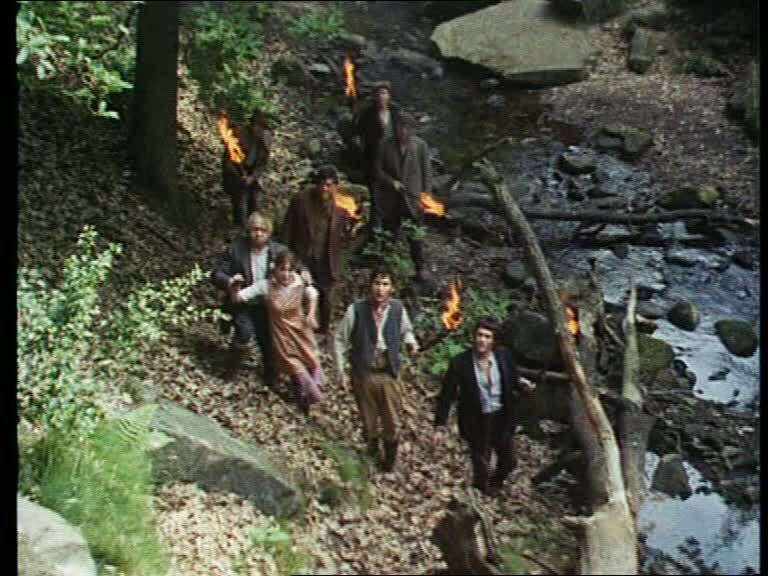 In making their first children’s series a period drama (continued with The Flaxton Boys and Boy Dominic), Yorkshire were demonstrating a willingness to compete with traditional strengths of the BBC, albeit realised “as a more exciting hybrid of historic settings and modern action, unshackled by the textbook origins that held the BBC classics” (Docherty and McGown 2003: 12). 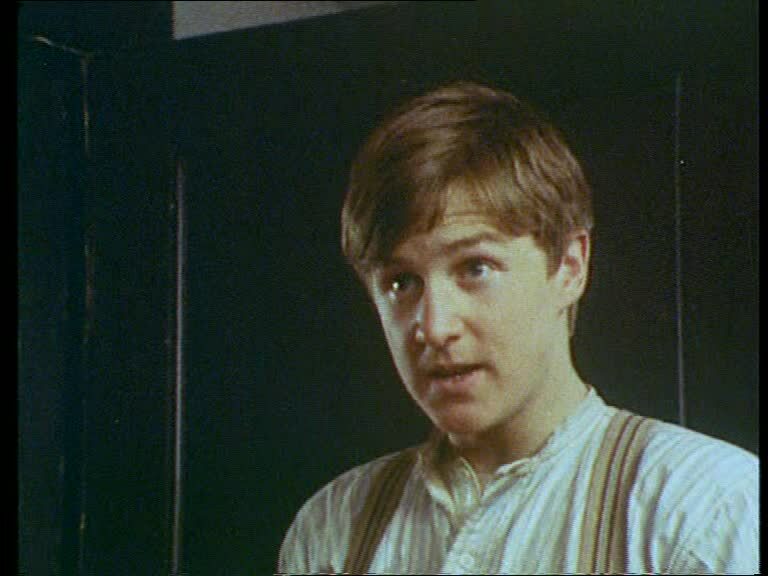 Without a Children’s Department, ITV had been perceived as lagging behind the BBC in children’s television, producing only half as much children’s programming as their rivals (Potter 1990: 260), so relatively prestigious children’s series such as Tom Grattan were welcomed by the network. 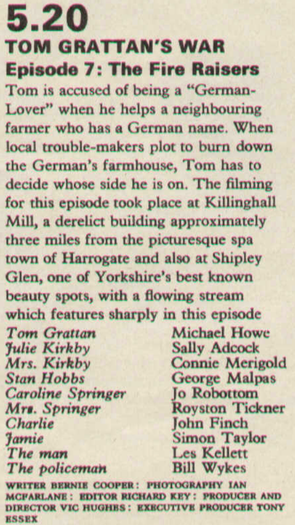 On a more immediate level, Tom Grattan was also required by ITV to fill a slot in the schedules, but exactly which slot turned out to be problematic. 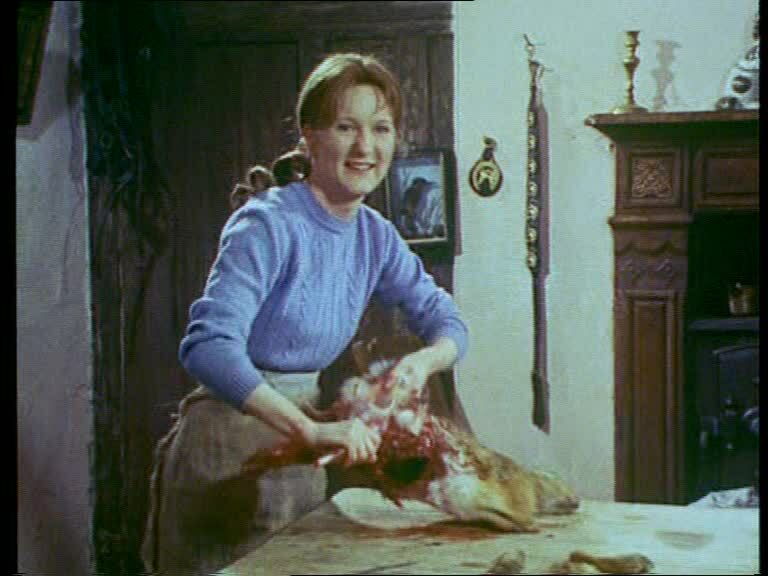 Some regions broadcast it during the weekday children’s hour of about 4.40-5.50 intended for viewers of 5-13, and others on Saturday (LWT) or Sunday (Yorkshire) afternoons, a space allotted to general family programmes rather than programming explicitly for children. In the light of this jumbled scheduling, the question of for what audience the programme was made becomes particularly relevant. The 1975 Annan Committee into Broadcasting identified – and distinguished between – three distinct groups of children’s viewers: those up to the age of 6 or 7 whose experience of communication was principally emotional; those between 8 and puberty, who had learnt to grasp ideas and developed a wide curiosity; and those who had passed into puberty and become inexperienced adults (Potter 1990: 260). Tom Grattan’s War works in different ways on each of these age groups, all of whom could be expected to form a part of the audience. For the youngest viewers the programme’s chief appeal would lie in the constant and clear situations of peril that run throughout most episodes; a familiar routine of observing suspicious events, concealing plans from adults, following, hiding, being discovered, pursuit, capture, incarceration, escape, being lost, raising the alarm, and so on. 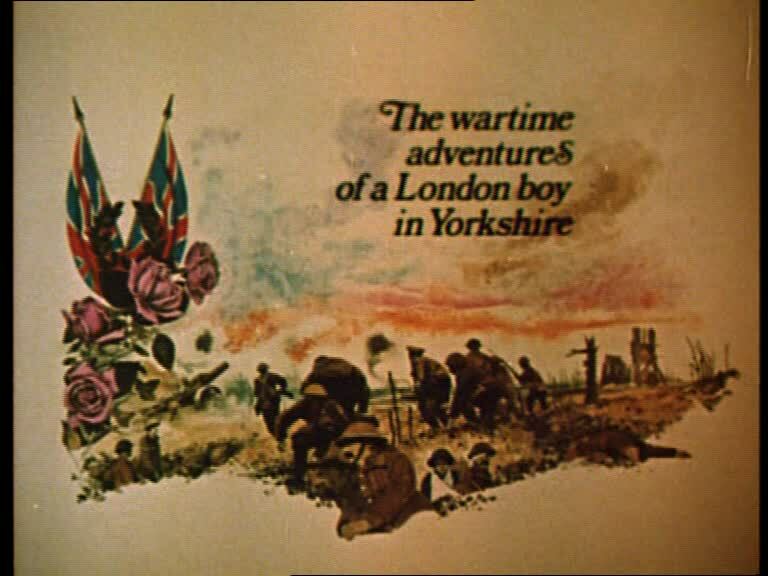 The programme’s production values may have helped to make this adventure narrative in Tom Grattan’s War especially appealing for younger children. The series is remarkably pacey, and has an exceptionally evocative sense of environment – presenting a wild, rugged, frightening county of bleak rocky moors and jagged treacherous coastlines, avoiding the prettier Yorkshire landscape of dales and villages. 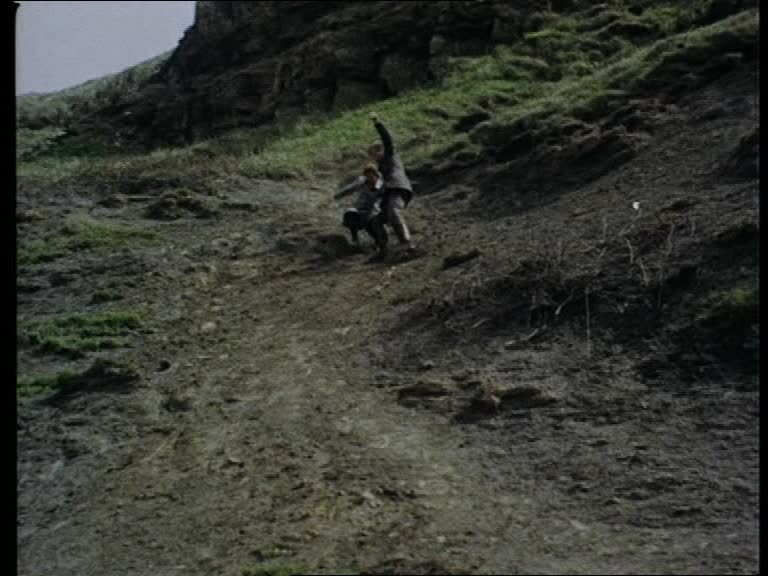 Stories often feature the cast traversing the trickiest hills and slopes, in situations that combine both implied and natural dangers. 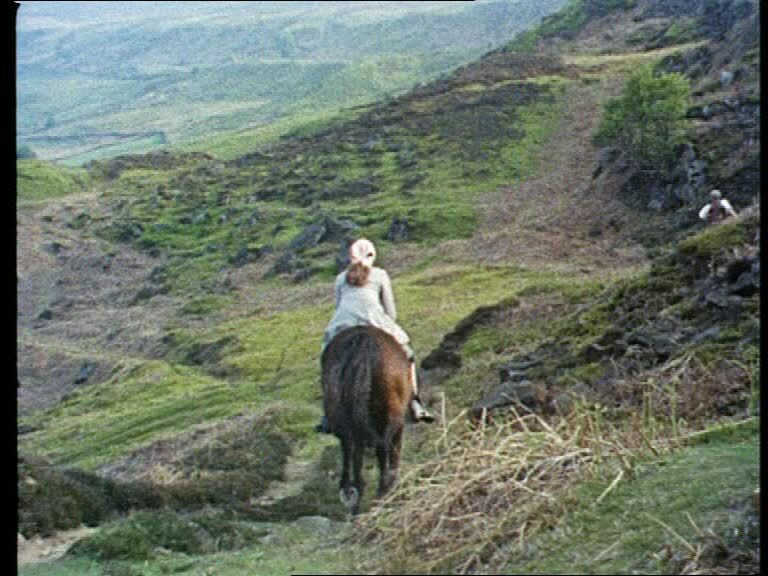 The series’ narrative topography sometimes bears affinities to the Western, with distances travelled on horseback and homesteads having to be defended from baddies. – deserted lighthouses, and a stately home fallen into disrepair. probably the reason for the 12 certificate awarded to the series’ 2009 DVD release. Villains, including IRA terrorists, are seriously nasty and aggressive, pushing Tom off a cliff or locking Julie in a warehouse to starve. While the worst of the violence is implied or cut away from, the results are there to be seen, and integral to the overarching plot of Tom learning more about the horror of war. The importance of the Great War to the series probably makes Tom Grattan better suited to the Committee’s category of older children, who are more able to recognise a historical setting, grasp concepts and form intellectual understanding. The series operates around a narrative that “never reaches the conflict itself yet defines its effects on ordinary people and the country as a whole” (Connors 2011). 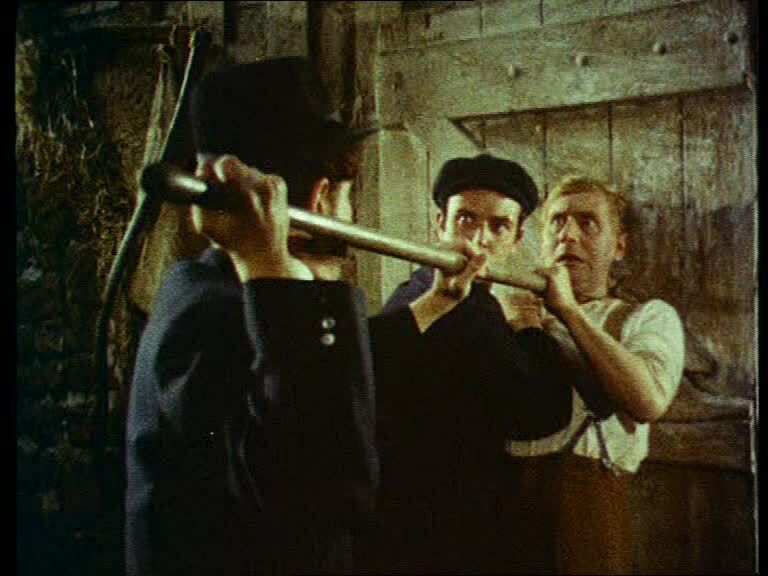 This is given dramatic form through the moral dilemmas faced by Tom during his time in Yorkshire, not least when German prisoners of war at the local quarry become the target of angry attacks by local people who have lost loved ones at the front. Despite Tom Grattan‘s scheduling as a children’s programme, Tom and Julie are teenage protagonists, 15 and 16 respectively in the first series. Their concerns, with fathers and brothers away at the front and the prospect of enlistment for Tom, are implicitly quite serious even if rarely the main focuses of the adventure storylines. The second series, with observably older leads, varies what might have become a repetitive template, introducing more mature dilemmas for Tom, broadening his character so he is not simply the high-spirited good guy all the time, where more thoughtful stories attempt to capture the conflicting morality of wartime behaviour with no easy answers (Connors 2011). At one point the narrator, ruminating on how Tom has no friends of his own age, adds: “There is Julie – but she’s a girl and couldn’t possibly give him the companionship he needed”. Throughout the series, the convention of the narrator precludes complexity and ambiguity by explaining motivations and meanings to the viewer, making the drama more suitable for children in the Annan Committee’s second category. 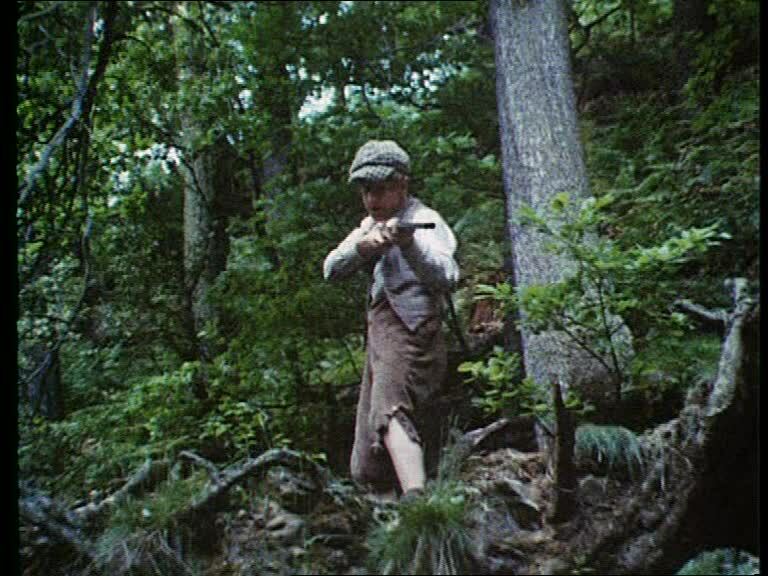 In addition to children a further, adult, audience would also be watching Tom Grattan’s War. Intergenerational appeal is built into the programme, which would have to attract a family audience beyond children to sustain weekend scheduling. 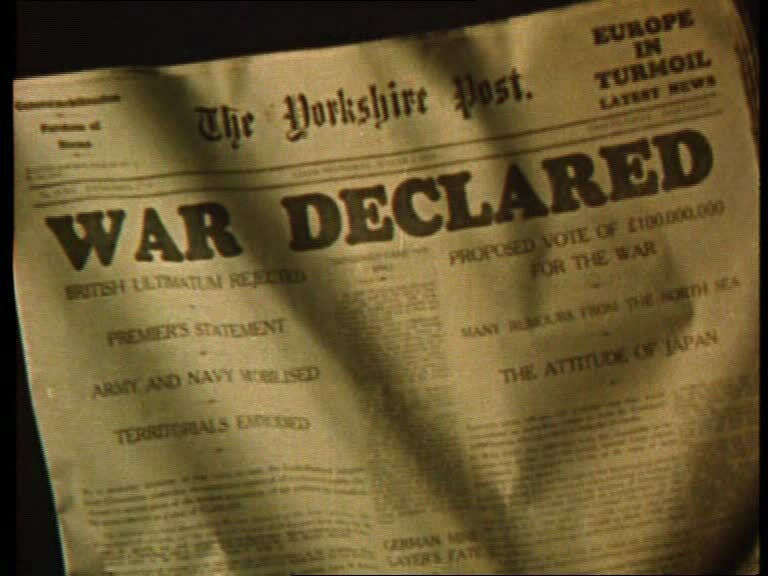 Anyone over 60 at the time of broadcast would remember the Great War, and the nature of the drama, which explores ideas of grief, conscription and prejudice during wartime within a light and engaging format, creates a potential forum for that generation to explore memories with grandchildren. 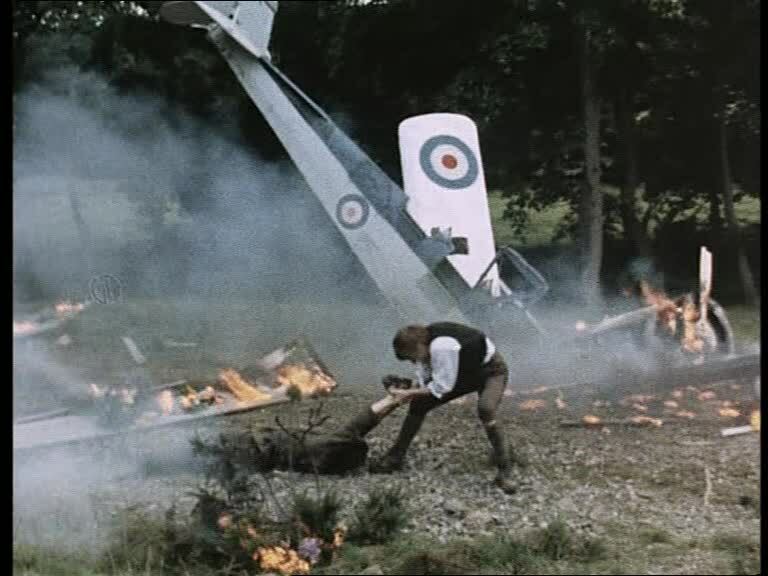 rescuing a German from the burning wreckage. 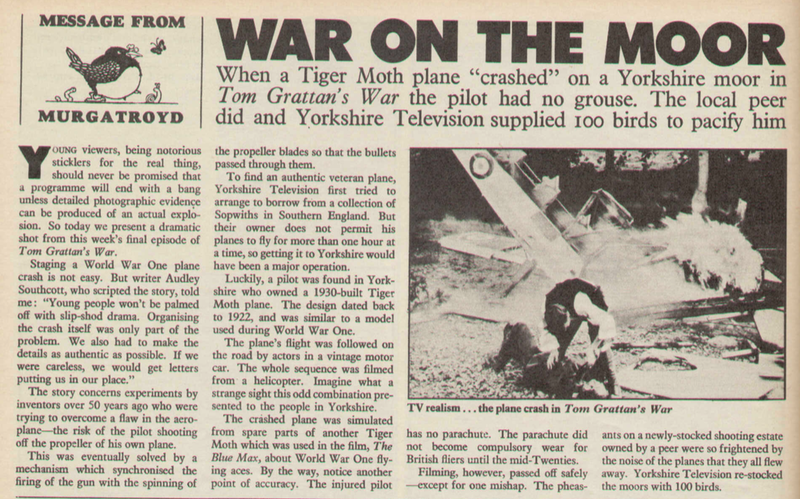 To conclude, Tom Grattan’s War is a particularly strong example of the multiple balances that were needed to produce a children’s television drama for ITV in this period. A strongly regional programme for a national audience, the series’ production values and authentic period setting mean that it has dated far less than most surrounding television of the period. 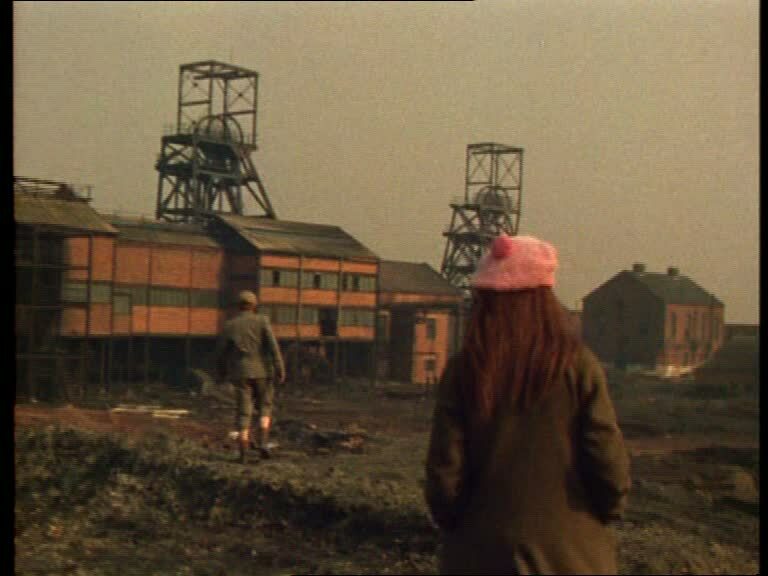 A drama about teenagers, but paradoxically largely intended for younger children, Tom Grattan’s War embodies a transitional point in the development of ITV children’s drama, midway between the 1960s adventure serial and the 1970s new wave of children’s drama of a greater emotional depth. Deakin, Michael, Tom Grattan’s War, London: Knight Books, 1969. Docherty, Mark and McGown, Alistair, The Hill and Beyond: Children’s Television Drama – An Encyclopedia, London: BFI Publishing, 2003. Potter, Jeremy, Independent Television in Britain: Volume 4: Companies and Programmes 1968-80, Basingstoke: Macmillan, 1990.